More and more, some of the most effective measures to help homeless and vulnerable animals happen not inside the four walls of America’s animal shelters, but outside them. Examples of this include helping owners keep their pets at home and out of shelters in the first place; fostering animals in homes where they can be cared for, socialized and introduced to new potential adopters; and a lifesaving activity in which the ASPCA is in a position of national leadership: Animal Relocation. Animal relocation involves partnering with “source” shelters in areas with high homeless pet populations and transporting some of their animals to “destination” shelters in other communities where they have greater chances for adoption. Moving these animals also frees up resources and space in source shelters to help other animals in need. As you can imagine, the logistics of relocation are complex and requires an enormous amount of innovative problem-solving and teamwork, not to mention many hours behind the wheel. Thanks to a lot of hard work, vision and very generous donors, the ASPCA operates three cross-collaborative relocation routes using both land and air transport: The Nancy Silverman Rescue Ride on the East Coast, The WaterShed Animal Fund Rescue Ride in the Midwest, and our Los Angeles route on the West Coast. It’s important to understand that, in addition to helping move these animals, we’re also providing both source and destination shelters with training and support designed to enhance their shelter operations and community engagement. In 2018, ASPCA programs helped move a record-breaking 40,314 animals—including 29,360 dogs, 10,610 cats and 344 other animals—and this April we expect to hit a total of 100,000 relocated animals since our relocation efforts began in 2014. This month marks the two-year anniversary of the WaterShed Animal Fund Rescue Ride, which has successfully moved 15,000 animals; and the five-year anniversary of the Los Angeles relocation program, which has successfully transferred more than 40,000 animals. At the end of the summer, the Nancy Silverman Rescue Ride will move its 50,000th animal. See recent NSRR arrivals to the ASPCA Adoption Center here. 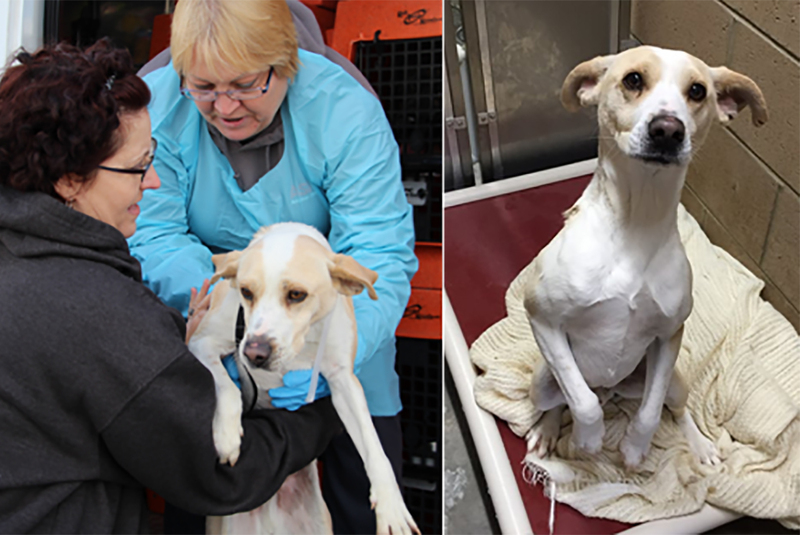 One of the tens of thousands of animals we moved is Spencer, a three-year-old Terrier/Hound-mix who last month became the 15,000th animal relocated through the WaterShed Animal Fund Rescue Ride. Spencer—now named Neelix—was transferred from Paws and Hooves Rescue Foundation in Stillwell, Oklahoma to Wayside Waifs, in Kansas City, Missouri and was adopted by a loving family a week later. No single organization can take credit for these successes. They represent how much can be achieved when many groups, near and far, come together to help more pets in need reach safer ground.